Thanks its good to be back. Cheers as always b_e !!! Ah, all's well then. Enjoy!! They have been posting constantly about processing orders on FB. This I like. That's good then. They seemed a bit chastised on FB ... keep me 'posted' (groan) then!! According to their post of 14/4. They are shipping the Larraz over the weekend / Monday. I know I know ... all I can say is that Sinister Eyes is worth the wait. Prime Franco lunacy. Just seen a message posted 6 hours ago, swearing they are shipping "shortly". emails will be sent etc etc. Well ... that's nearly Feb over. They swore I would get it this time. Am dying to see what they say on Farcebook this time!! Have you heard owt at all?? Sado-Masochism; Cannibalism; Necrophilia; Playing the Maracas. A lazy pile of atoms riddled with annoying idiosyncrasies. 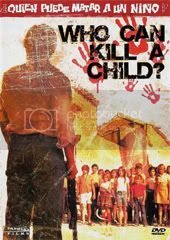 Unlikely Horror Gem #3: Who Can Kill a Child? Round 3: Probably a bit more well known this one... Who Can Kill a Child (¿Quién puede matar a un niño?) is a definite gem in my eye. 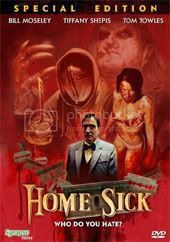 Round 2: Probably going to be controversial this one, but another horror film that I consider gem material is Home Sick. I thought that I would start my blog with a topic that is very close to my heart: Obscure, but excellent (in my eyes anyway) pieces of horror film-making available on DVD, that may have escaped the radar of even the most keen eyed movie hound.